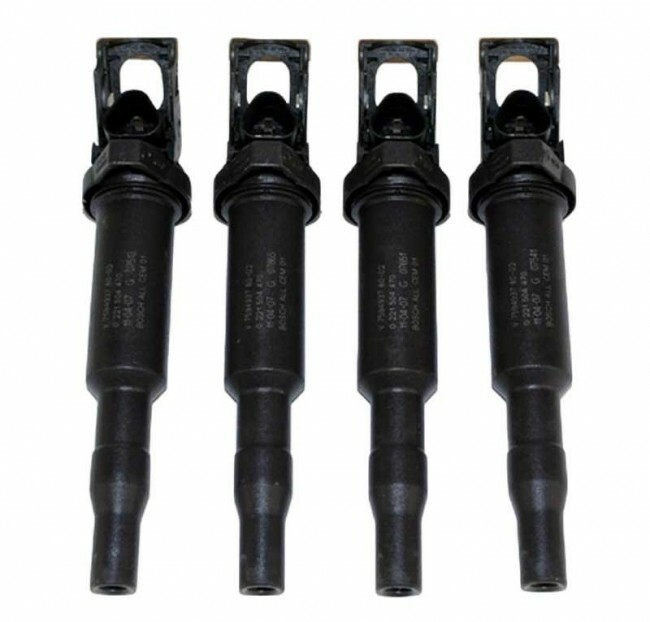 Install a set of Bosch High Performance high voltage ignition coils and the problematic high speed, high load misfire is eliminated. You will be surprised with the new found power and smoother performance all the way to REDLINE. All modified Gen 2 turbo engines that are putting out anything above factory rated power suffer from a very marginal and weak ignition system. The coils will not support an increase in power and typically start to lose effectivness after only a few years. Install a set of Bosch High Performance pencil coils and the problemsome high speed-high load misfire is eliminated. You will be surprised on how much better and smoother your MINI runs. The design of the ignition coil on the gen 2 MINI is not ideal. All the control electronics and amplifier windings of the coils are housed within a sealed tube deep inside the engine surrounded by 250 degree F oil and zero cooling air. The coils never get a chance to cool-off. After you shut your car off the coils contine to bake until the entire engine cools down. Heat destroys anything electric. 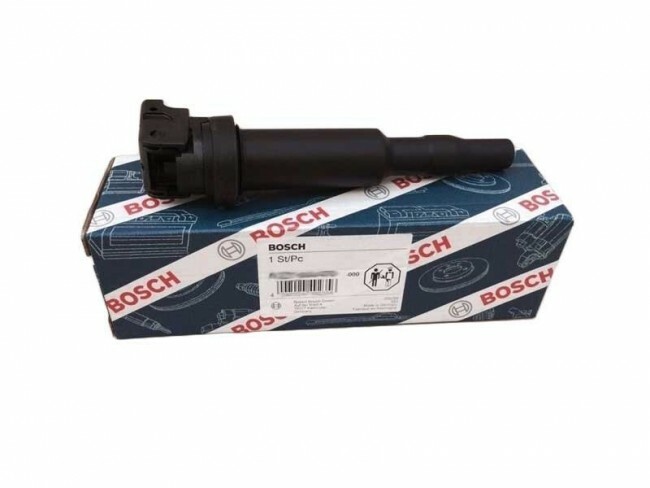 A fresh set of Bosch Ignition coils will immediately fix the high speed or high load misfire you are experiencing. High-performance ignition coils from Bosch ensure a reliable voltage from the start, and more ignition energy so your engine starts and runs smoothly. Long recognized as world leader in automotive electronics, ignition and fuel systems, Bosch's quality, innovation, and experience are the foundation of the entire line of engine management components. This does not fix the design flaw of the Gen 2 ignition system but it is a very cost effective repair and should last 30,000-50,000 miles before replacemnt is needed again. 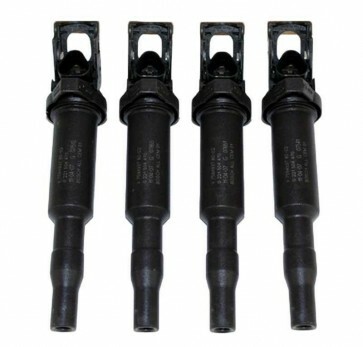 This kit includes four (4) direct replacement Bosch High Performance, High Voltage Ignition Coils. Very easy to install. No tools required. High-voltage ignition components designed for a normal charged or low-pressure boosted engine will sooner or later prove inadequate to spark properly through the denser charge mixtures encountered as boost increases significantly. Stock-heat-range spark plugs can contribute to knock or pre-ignition, and should be replaced with plugs at least 1-2 ranges colder for street turbo engine. If the ignition is too weak to fire reliably through the super-dense charge mixtures of high compression as a result of high-boost supercharging or turbocharging, the engine will begin to misfire under heavy load. 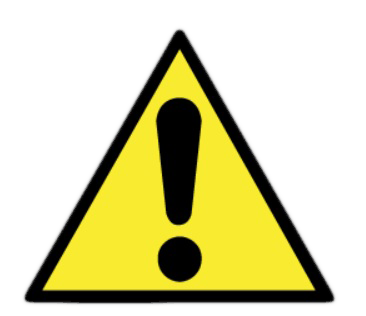 Common first aid when the high-side ignition voltage becomes problematic is to decrease the spark plug gap down to 0.020 or even less. A better solution is to replace and upgrade the ignition coils with fresh OEM type of high voltage versions if available..